A six-week pottery class that will teach students the basics of throwing clay on the wheel. 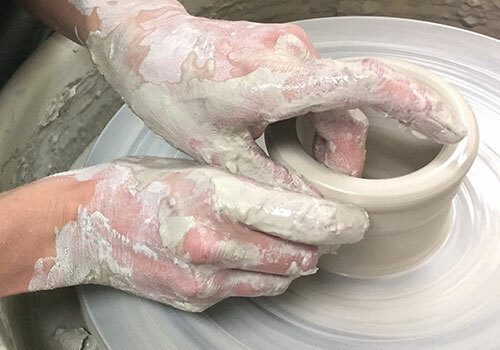 The fun starts with clay basics and expands to creating mugs, bowls, plates, and other objects based on student interest. Skills that will be developed include centering, shaping, trimming, handle making, and decoration as well as glazing. The instructor will work actively with each student. Class continues Thursdays through February 21. Cost: $175. Limit: 6 students. Registration required. No experience necessary.